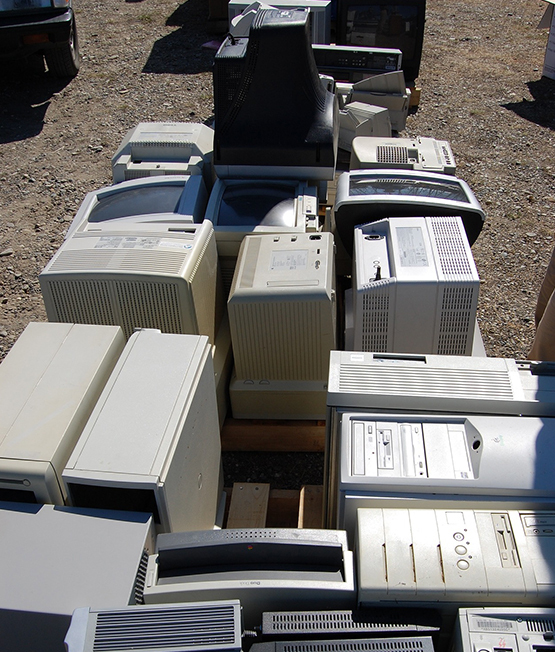 E-waste or electronic waste refers to the trash generated from surplus, broken or obsolete electronic devices. The rate of e-waste is growing at a rapid speed and a recent study pointed that between 2014 to 2017 alone, the percentage of world population covered by e-waste legislation jumped from 44% to 66%. It is estimated that every year, worldwide, between 20-50 million tons of e-waste is tossed into landfills out of which only 10 to 18 percent of total worldwide e-waste generation is recycled. What is even more shocking is that much of the e-waste generated in the U.S. is exported to countries like China, Pakistan, Nigeria, Ghana and India; creating a major dumping problem in these countries as well. As per new e-waste management rules 2016, it has now become mandatory for bulk consumers, producers and manufacturers of all electrical & electronic equipment to abide by their EPR. These rules clearly indicate the responsibility of bulk producer of electronic goods to channelize their e-waste for responsible recycling.